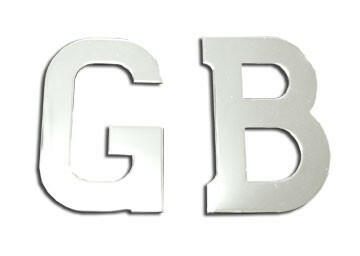 Polished Stainless Steel GB letters with 2 fixed screws on rear face. Drilling Template and gasket included. Solid Brass, polished GB letters with 2 fixed screws on rear face. Drilling Template and gasket included.